Tableware is not a simple serving utensil, it's an very important decor elements for your dining table, especially in certain special ocassions. Great food deserves amazing tableware to go with it. 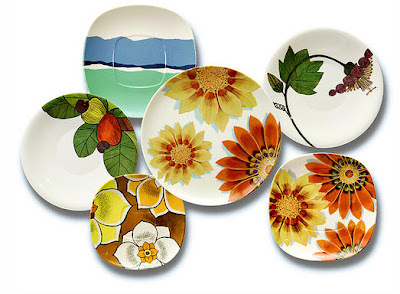 Fine tableware is a piece of art that please your mood and appetite. The left picture showcase beatiful bowls with characteristic patterns that may appeals to sombody. It represents a feeling of enthusiam and hospitality to me, and I personally prefer more lowcase designs which contains simple yet elegence feeling. A Fantastic range of modern and classic Tableware available at sensible prices to help create that perfect dining experience.